Sac City College Davis Outreach Center in Davis, CA. Photo by Crystal Lee for the Davis Enterprise. 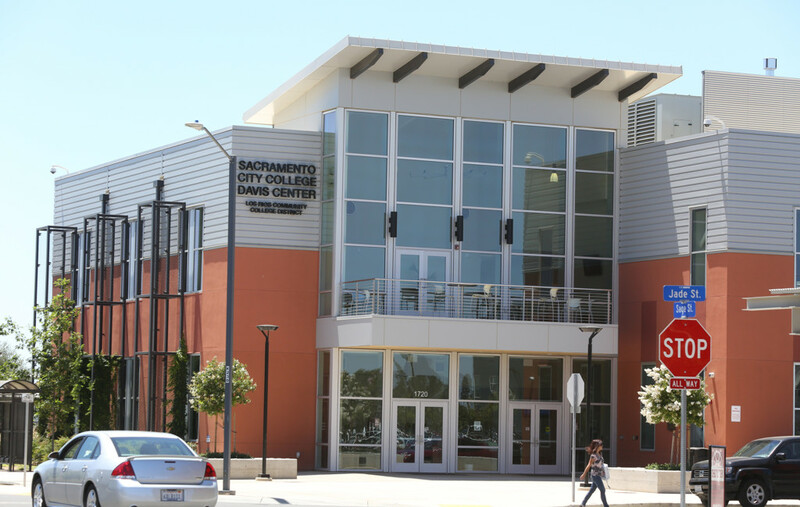 City College’s Davis Outreach Center was awarded LEED (Leadership in Energy and Environmental Design) Silver Certification last month for meeting standards of design and sustainability for energy efficiency as set by the U.S. Green Building Council, according to City College Public Information Officer Amanda Davis. The LEED certification was awarded Aug. 5 by the U.S Green Building Council, honoring the Davis Center for its energy, lighting, water and material use among other energy and cost-saving methods. In addition to helping the environment, a LEED certified building also contributes to saving money for families, taxpayers and businesses, according to Davis. Davis Center Dean Don Palm said that a big reason that the building is considered “green” is its use of outside light. “The architect … really tried to use available light as much as possible so the building turns out to be open and there’s a lot of natural light bouncing around in it,” said Palm. City College President Kathryn Jeffery noted that the green building serves another purpose—to help make students more aware of the importance of energy-saving strategies. According to Palm, the LEED certification not only takes into account the final building and its use of green technology and strategies, but certification is also based on the use of local contractors and equipment. This entry was posted in News, Sac City Express (SCC) and tagged certification, daniel wilson, Davis Center, Don Palm, energy, green, LEED, LEED certified, Sac City Express (SCC), technology. Bookmark the permalink.